Abu Dhabi: An international organisation to address challenges faced by Muslim minorities across the world and fulfil their ambitions was launched in Abu Dhabi on Monday. The World Council of Muslim Minorities will be based in Abu Dhabi and seek to promote civil and political rights of Muslim minorities as an inherent human right, Dr Ali Rashid Al Nuaimi, Secretary General of the Muslim Council of Elders — also an Abu Dhabi-based independent international organisation set up in 2014 to promote peace In the Muslim communities — told a news conference. The charter of the World Council of Muslim Minorities will be worked out during the international congress of Muslim minorities to be held in Abu Dhabi in May to address challenges and opportunities of around 500 million Muslims working and living outside the Islamic world. The International Conference on Muslim Minorities: Opportunities and Challenges will also explore ways for them to fulfil their role as both good Muslims and good citizens and encourage positive contribution within the society. 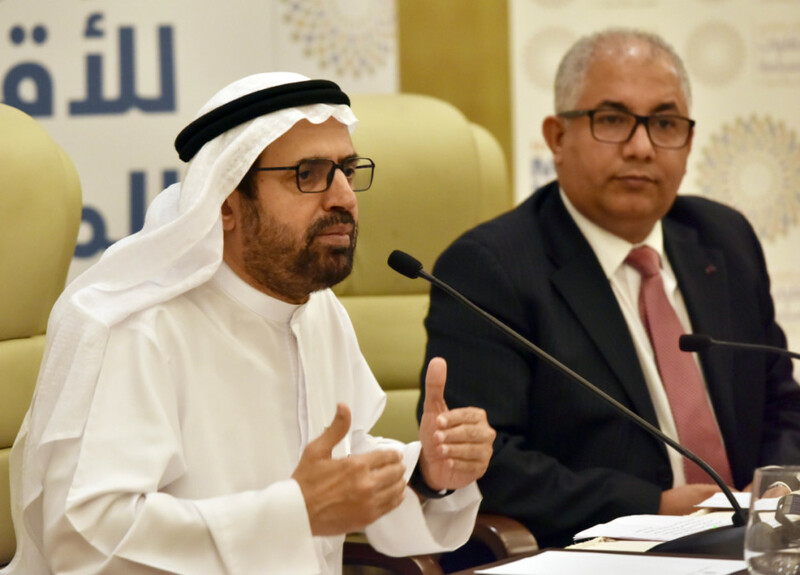 “Based on the cultural message of the UAE to spread the culture of peace and security and to consolidate the values of coexistence and mutual respect among the peoples of the world, the World Council of Muslim Minorities was launched,” Al Nuaimi said. He added the council was also designed to promote tolerance and dialogue among followers of religions. Al Nuaimi said the constituent assembly of the council will be held during the World Conference of Muslim Minorities in non-Muslim Communities. Al Nuaimi said that more than half a billion Muslims — equivalent to one-third of the Muslim nation — live as minorities in multicultural, religious and ethnic countries. He stressed the need to launch a pioneering global initiative to promote the concept of citizenship and its values among Muslim minorities as a key component in the development of their countries by working to correct the stereotypical image of Islam and Muslims. In accordance with the universal content of the rights of religious and ethnic minorities, thus guaranteeing the right of societies to cultural and religious pluralism. “The council is aimed at coordinating the efforts of Muslim minority institutions and enhancing their role by encouraging members of Muslim minorities to contribute to the renaissance of their states, correcting the stereotypical image of Islam and Muslim minorities and bridging the intellectual and cultural gap between the components of the human society,” Al Nuaimi said. Dr Mohammad Al Bechari, Vice-Chairman of the Supreme Committee for the World Conference of Muslim Minorities said that the “World Council of Muslim Minorities” will carry out a number of tasks that enhance the practices of Muslim minorities in different countries and increase the effectiveness of their performance towards their children and communities. The council, Al Bechari said, will launch the Global Charter of Muslim Minorities of Rights and Freedoms and the strategic plan to promote the civilisational role of Muslim minorities. “The council also aims to promote cultural pluralism and respect for the cultural and intellectual specificities of the Muslim minorities in the world and to promote the values of moderation, dialogue, tolerance and national belonging, and to reject religious fanaticism and hatred of others and to promote the civil and political rights of Muslim minorities as an inherent human right in accordance with international and national conventions,” he added.